Channel Andrews is an attorney who is passionate about social justice. She moved to Paris a little over a year ago to join her fiancé, whom she married earlier this year. 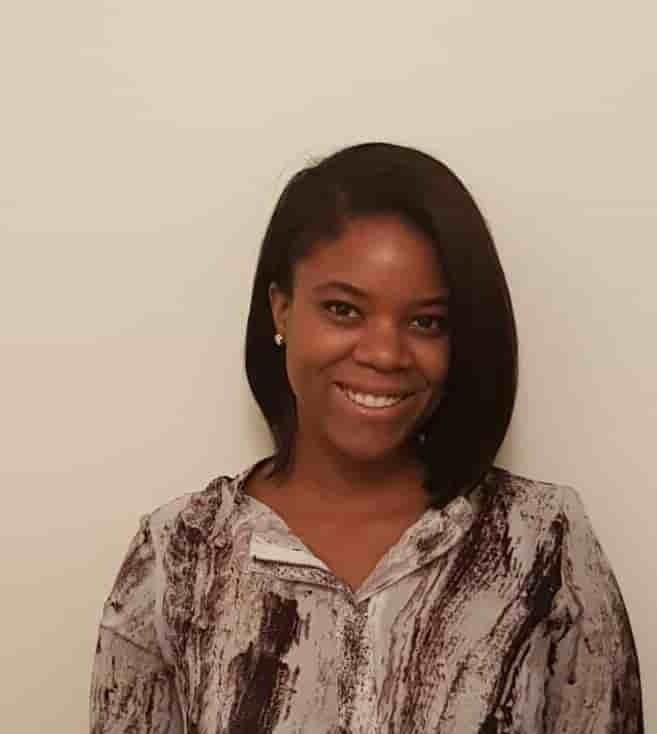 We met after she took the Entrée to Black Paris walking tour of the Luxembourg Garden and subsequently realized that she had been inspired by the Black Paris Profile™ that we published on attorney Elizabeth Milovidov. DP! : How long did it take you to put your plan for moving here into place? CA: I made the decision to move to Paris after my law school graduation in 2014. My plan was to gain as much work experience as possible in the U.S.; and to save money before moving. After two years had passed, I had achieved enough to move in 2016. DP! : You came to Paris with few to no French language skills. What are you doing to learn French while you’re here? CA: I took a French class at the Sorbonne when I first arrived. Unfortunately, my work schedule didn’t allow me to focus on my studies. I have resorted to using Rosetta Stone and practicing with my husband. I learn something every day. For example, there are times when I think about what I have to do on a given day, and then I learn in French what I will have to say in order to make it through that day. DP! : How much time do you spend studying the language? CA: I try to at least dedicate one day a week to studying. Of course, I often fall short of this goal. Fortunately, my husband and friends are forcing me to practice my French more. When I talk to them in English, they respond to me in French. DP! : What career options did you explore in France prior to moving here? CA: Because I was not fluent in French, I did not have any idea of what type of work I would find. Although I am an attorney, I crossed off working in an international firm because of my lack of French. I was extremely excited to learn that French universities hire native English speakers for specialized English courses. I then applied to work at several universities. DP! : How many opportunities opened up for you? CA: I was fortunate enough to secure teaching positions at two French universities before I moved to Paris. The University Panthéon-Assas sponsored my visa to move to France. I accepted both positions. DP! : What has made you so passionate about social justice? CA: As a black woman from Philly, I grew up witnessing no shortage of racial disparities and injustices. I’ve always especially been drawn to the issues of police brutality and mass incarceration. Philadelphia is home of the “MOVE bombing”, where the police dropped a bomb on a black residential street near my home in the 1980s. Eleven people died in that bombing, five of whom were children. I grew up hearing about that story. After meeting some of the survivors of that attack, I joined the social justice movement. I specifically attended law school to become a Civil Rights attorney. DP! : How are you feeding this passion through your current work activities? CA: I currently teach a course entitled “Civil Rights in America”, at the University of Paris VIII-Saint Denis. I also teach American Constitutional Law at University Panthéon-Assas. I teach my students about civil rights cases from the Dred Scott era to modern times. It is rewarding to be able to share information with students who would otherwise probably never know such injustices exist in the U.S. I would like to think that the material taught in my courses help students to become more compassionate individuals. DP! : In general, what do you find different about higher education in France compared to the U.S? CA: I was astounded to learn that French higher education tuition is comparative to what I paid for one textbook during my college experience in America. I also find that French university curriculum is more rigorous, as schools offer mandatory classes that would be considered electives in the U.S. Lastly, most of my students are very serious about their education, even as first year students. DP! 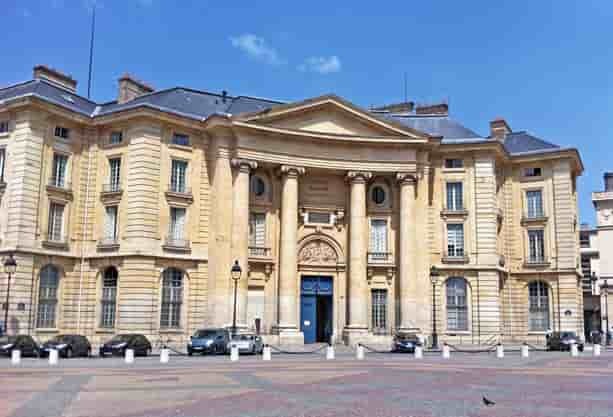 : What do you find different about law education in France compared to the U.S.? CA: In America, law school is a three-year graduate school. In France, students can earn a law degree in one- or two-year master’s degree programs. However, French law courses are so rigorous that I wouldn’t doubt that French students learn as much in one or two years as American law students learn in three years. DP! : How have your students received you? CA: My students have been surprisingly well receptive to my instruction. Admittedly, I did not know how they would react to having such a young woman of color teaching them. In fact, I blend in with the student body and am often mistaken for a student. However, once I inform my students that I am an American attorney, I am immediately viewed with authority. Many students have become mentees of mine. DP! : How have your fellow law professors received you? CA: I am the youngest professor and the only black woman in my department. I have been welcomed with open arms by all. In fact, my department specifically wanted me to join the team and sponsored my work visa to come to France. DP! : Why would French students be interested in civil rights in the U.S.? CA: Of the two universities where I teach, University of Paris VIII-Saint Denis is considered liberal, while University Panthéon-Assas is considered conservative. Despite the differences on the political and social spectrums, the students of both universities have been extremely receptive to discussing controversial social justice issues. Like most of the world, many of my students are obsessed with and intrigued by American culture. The students want to know as much about America as possible. DP! : Do you see opportunities for you to advance in law schools here? CA: My position is not tenured and there are some French governmental limitations to non-permanent university positions. However, there are definitely opportunities to continue teaching American law in the French higher education system. DP! : Is this something you’re interested in? CA: I am currently figuring out my life beyond August 2018 when my current work contract expires. While I am still considering teaching, I am also looking into Master’s and PhD programs. DP! : What is your favorite leisure time activity? CA: Paris is such a beautiful and eventful city and there is so much culture and activity here. In my free time I love to explore new restaurants and venues. Paris is the type of city in which you can randomly end up drinking vintage champagne in a historical venue with art from the 1600s. That is my idea of a great night out. DP! : What is your favorite place in Paris? 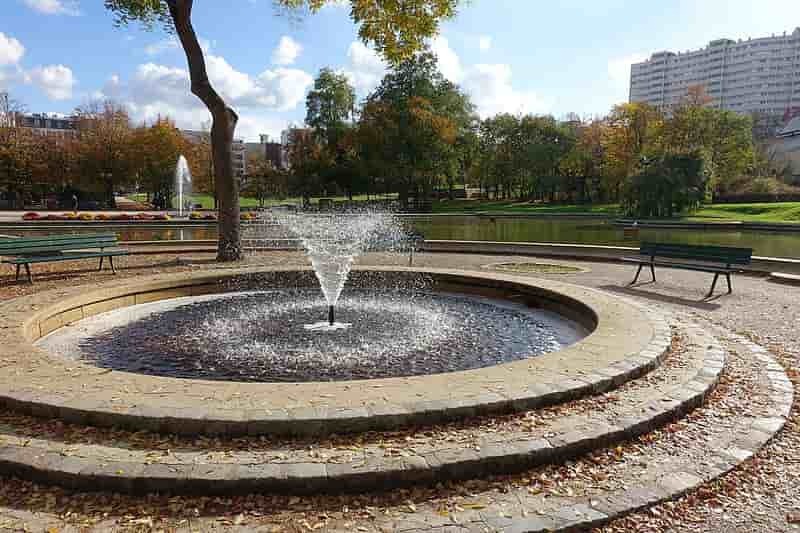 CA: When the weather permits, I love visiting the Parc Georges-Brassens in my neighborhood. My husband and I usually take bottles of champagne and snacks to eat on the lawn. It sounds cliché but, it's so Parisian! DP! : How would you advise someone who would like to come to Paris and work as an attorney? CA: My first advice would be to learn French! Being a native English speaking bilingual has so many advantages. I would also advise people to do their research. Know what you are getting into before you get here. There are Facebook groups for Americans in Paris that offer a plethora of information.